The easy to install prevention/deterrent system that stops House martin/swallow birds building their nests in the eaves/apex/gable of your home/house/building. 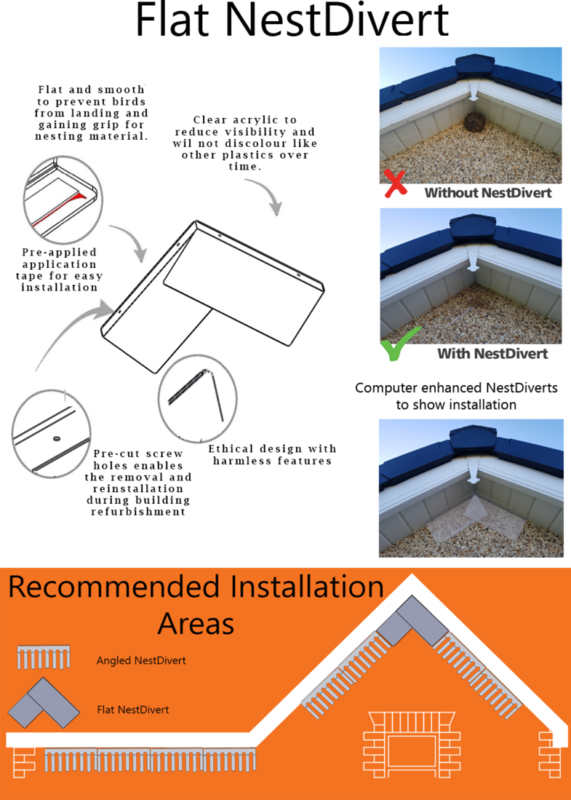 The design of the NestDivert works with all roof angles (flat or angled) and can be positioned behind downpipes. No need for any tools, screws or brackets, secures in seconds and lasts a lifetime.